Yesterday I was at the mall with my partner James when we passed through a flower bazaar. Tomorrow is Valentine’s Day and, being ever practical, he told me to pick a bouquet I like so we can have it delivered. I’ve always loved his Valentine’s flowers but I’ve struggled with preserving them properly. At the showcase yesterday, there were beautiful freeze-dried roses that came in a box. “Those would be such pretty home accents!” said my equally practical self. But the price tags were mildly shocking. Some cost as much as P14,000 a box! Fresh flowers are a treat, but if I’m going to spend a lot of money on a pretty thing, I’d rather it be something I can wear everyday. Lucky for me Estee Lauder sent over the Aerin Garden Rose Eau De Cologne (~P8,000 in Rustan’s) just in time for Valentine’s Day. This smells like a fresh bouquet of roses with a rich, warm touch of sandalwood, amber, and musk. They used three rose notes for this cologne: White Bulgarian Rose, Rose Bulgare, and Rose Centifolia. There’s a bright touch of green due to a hint of geranium. I adore this scent. It’s sweet, almost, but stays true to its promise to smell like a garden of roses. I like how it clings to my clothes; it will start to fade after about five or six hours, but it lingers nicely and doesn’t smell funky even when I sweat. This is a great everyday fragrance especially since the huge bottle contains 200 ml of cologne. That’s A LOT of product! If you want a more cohesive rose scent about your person, you can layer this cologne with the Aerin Rose Hand & Body Cream. I’ve tried a tube before in a different scent, and loved how non-greasy it is and how it made my skin smell so good throughout the day. A small amount goes a long way with this cream so go ahead and apply it all over. I’ve been a fan of Aerin ever since it launched in the Philippines. Their Gardenia Rattan Eau De Parfum Spray remains, to this day, one of my favorite and most cherished bottles of perfume even though I’ve had it for two years. 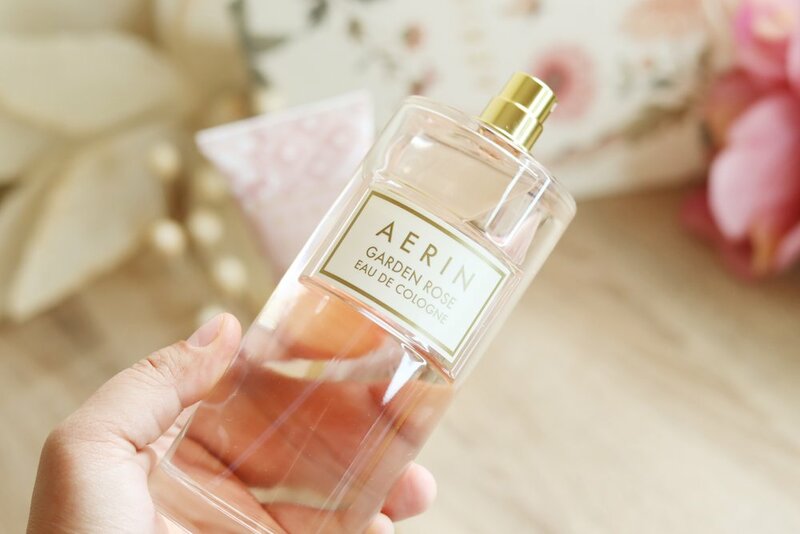 Aerin is expensive but worth the price tag when you find a scent you love! 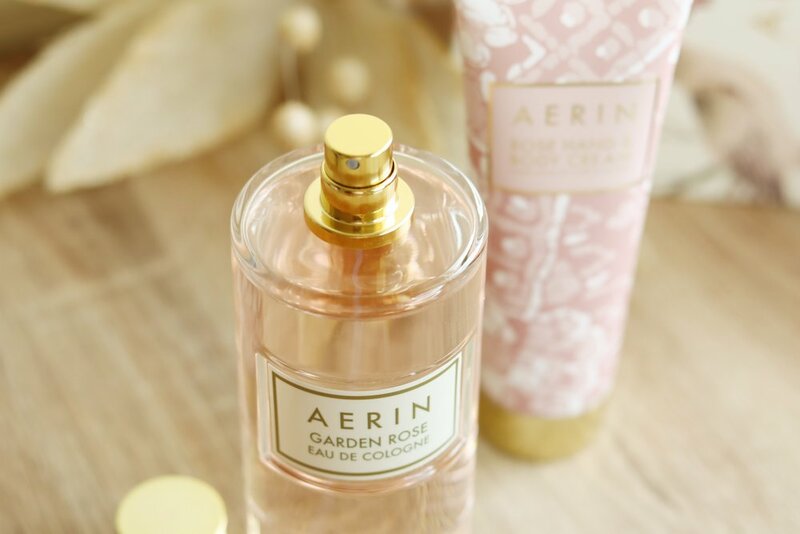 I just know I’ll be picking up the Aerin Garden Rose Cologne regularly since it suits me so well. Aerin is available in Estee Lauder counters in Rustan’s department stores.